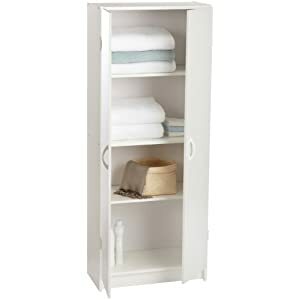 If you have enough room in your laundry room for a stand alone storage cabinet, this may be just the product for you. It is designed with four shelves, two of which are adjustable, for various sized items, to hold your laundry supplies. 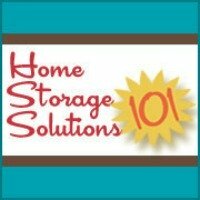 One of the big advantages of a cabinet, as opposed to laundry room shelving, is just that with cabinets you can close the doors and hide the contents from view, which is nice if you don't like to have a messy or cluttered appearance in your laundry room. Please note that this cabinet is the smaller of two versions I recommend for your laundry room. This one has dimensions of 24 inches wide, 12 inches deep, and 60 inches tall. You can also check out the larger version I recommend here. Although I am suggesting this item for your laundry room, it would also easily work well in your pantry, closet, garage, basement, or utility room, or wherever you need some additional storage space.